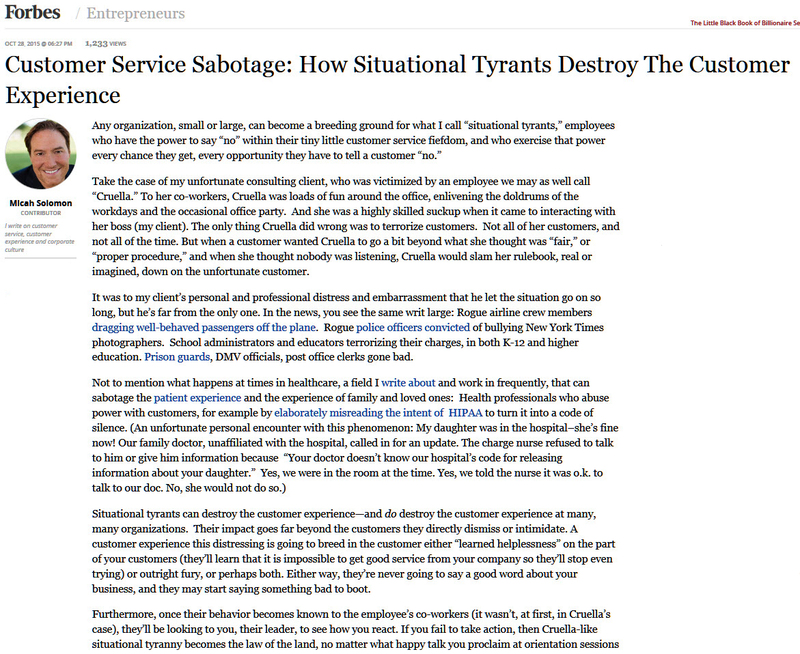 About Customer Service Chaos . . .
. . . about supposedly reliable people and companies who have failed to keep their promise - bringing chaos, wasted time and money and general disruption into your work day. Whether you're a dissatisfied consumer or a manager trying to keep your promise through other people's efforts, it's become an all-too-familiar experience. Workforce Leaders struggle to hire, train and retain high-performers; authentic people who will be faithful to their duties. If you've tried "almost everything" you know by now that the problem is not rooted in the tools or resources you've provided, nor in the failure of policy's and procedures, nor in providing enough benefits. It's who you're hiring - and why. It's what your employees are doing - and how. If you've wondered how and why things have become so unreliable, we have research that provides the answers. We also have solutions to help you overcome the limitations in today's workplace. Join the Second Quality Revolution - 2QR. Your enterprise needs 2QR WORKFORCE! A Help-Scout research article describes 75 important customer service issues including a Harris Polls study which notes that 50% of customer service agents failed to answer customer's questions. A Gallup Poll has discovered that 70% of the workforce are not actively engaged in their work; or worse yet - are actively disengaged and hate going to work. It explains some of the mission-destructive behaviors we've observed. 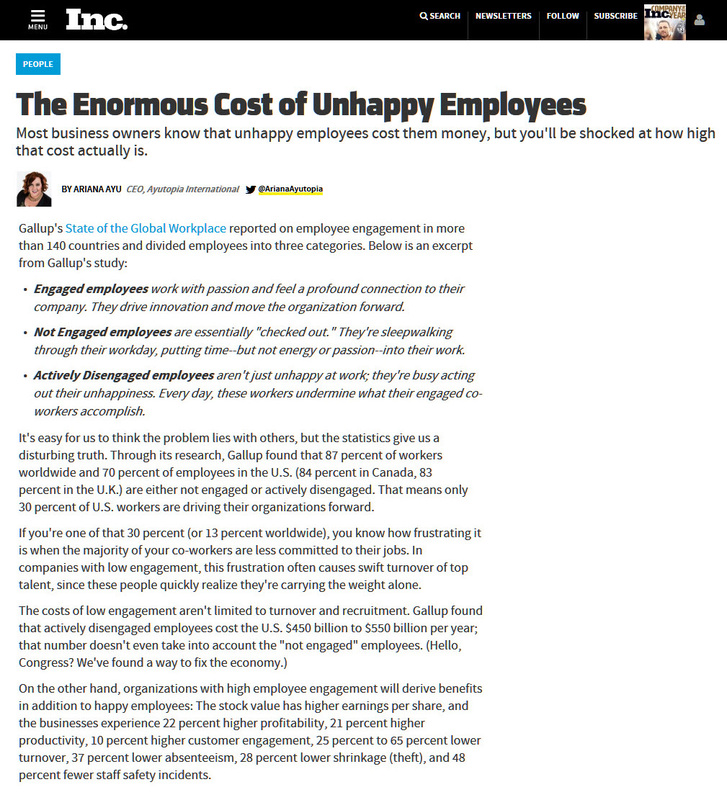 An Inc.com article breaks down the Gallup Workforce Poll and describes the enormous benefits of resolving employee disengagement; 22% Higher Profitability; 25-65% Lower Turnover; 37% Less Absents; 28% Lower Shrinkage/Theft, etc. 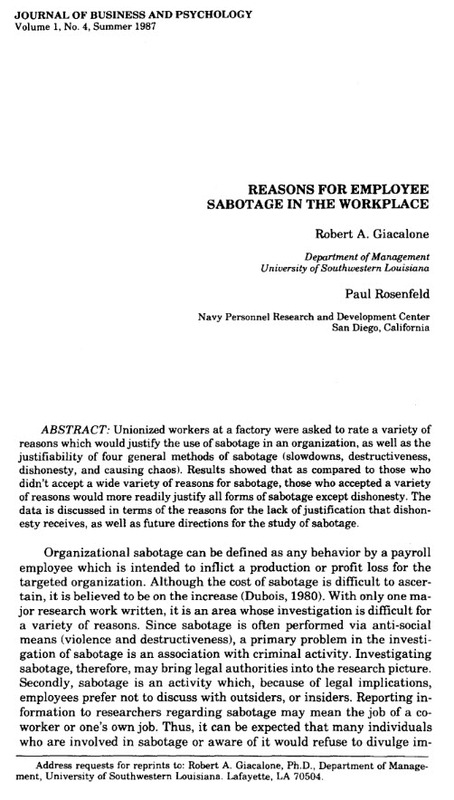 A Journal of Business and Psychology article defined organizational sabotage as any employee behavior which is intended to inflict a production or profit loss. There are four methods: slowdowns, destructiveness, dishonesty, and causing chaos. An American Institutes for Research study reveals that 75% of the people with a two-year degree (or less) are lacking literacy and cannot perform basic clerical functions accurately. With a four-year degree it's still an astounding 50%. 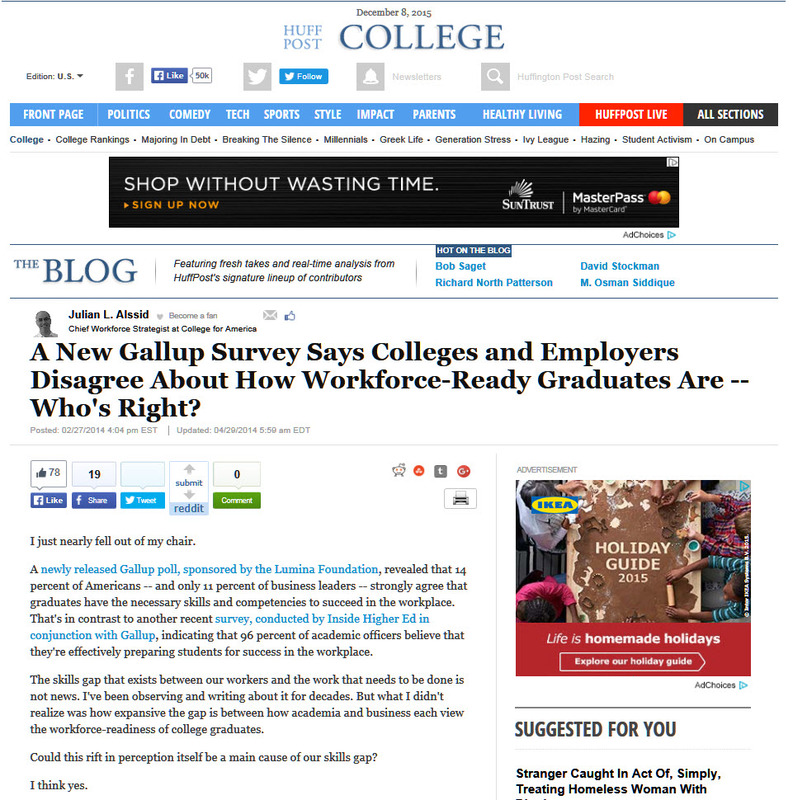 A Huffington Post article reports that a Gallup poll indicated that 96% of college chief academic officers believe that they're effectively preparing students for the workplace. Only 11% of business leaders and 14% of consumers agree. Articles by The Boston Globe and Study.com report that college students admitting to cheating has increased significantly over the last 60 years (from 20% to now 75%) and students aren't just cheating to pass, they're cheating to get ahead. 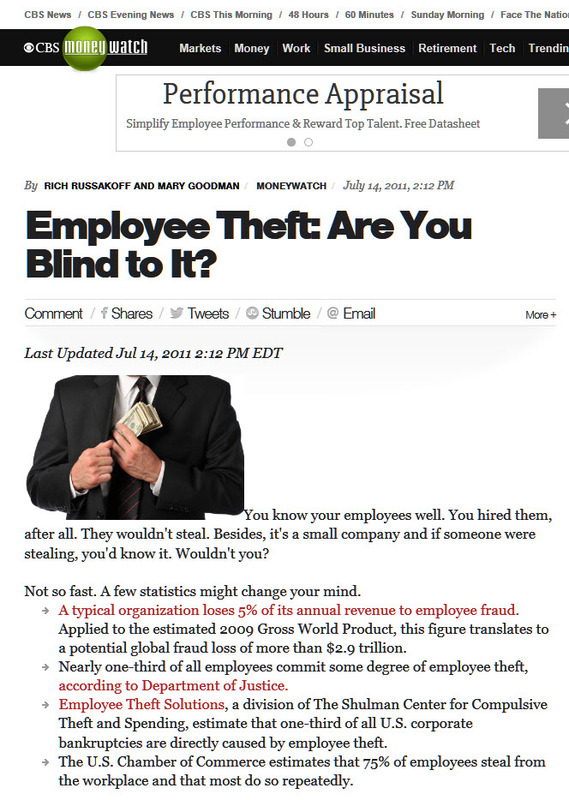 CBS News Money Watch reports that the U.S. Chamber of Commerce and the Shulman Center reveal that 75% of employees steal from the workplace and most do it repeatedly; and that 30% of all corporate bankrupticies are a direct result. Harvard Business Review reports that rude, vulgar, condescending or aggressive behaviors have created an expensive culture of incivility in the workplace with lost time and productivity and a negative effect on customer service. An article in the Harvard Business Review asks "Should Leaders Focus on Results, or on People?" The surprising answer is revealed in a study conducted by James Zenger which asked employees to choose between these leadership styles. A Forbes article reports that a survey of American Executives found only 35 percent of Americans are happy at their job and that 65% would take a better boss over a pay raise. The writer cites the inability of bosses to "walk the walk." 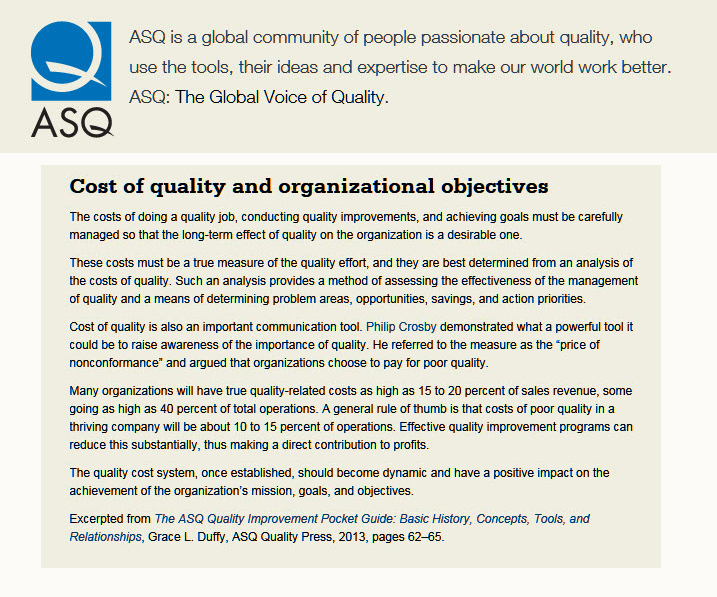 The American Society for Quality states that many organizations will have poor-quality costs as high as 15-20% percent of sales revenue, some as high as 40% of total operations. In a thriving company it will be about 10-15% of operations. Philip Crosby wrote that companies lose as much as 20% of their operating budget through errors, rework, customer service problems, etc. That’s why he said “Quality is Free.” It’s much less expensive to train people to do things right. A Journal of Organizational Behavior study showed that workers with a stronger sense of psychological ownership have higher job satisfaction and organization-based self-esteem and take pride in their enterprise/mission. A Journal of Management article connected an absence of organization-based self-esteem with feelings of uncertainty and that it had negative impacts on motivation, organizational commitment, and absenteeism. 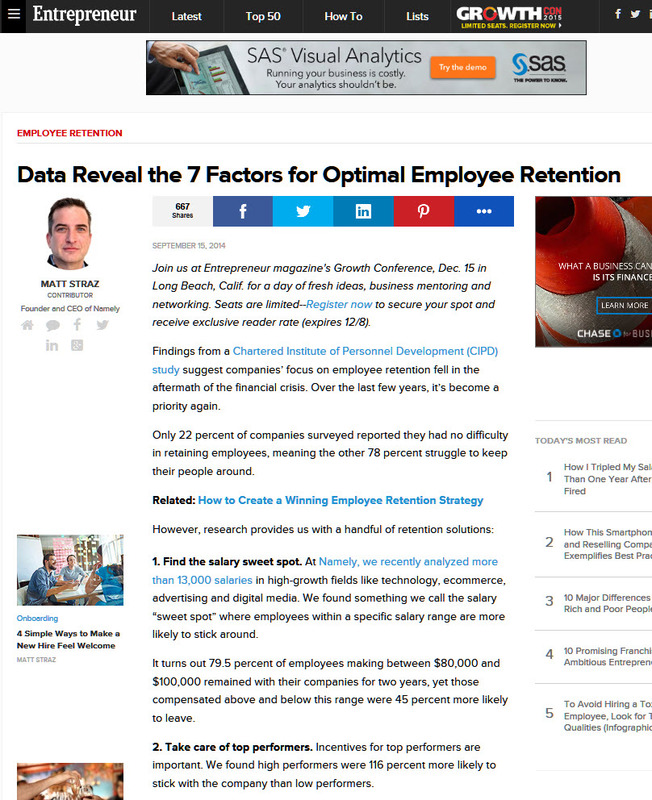 An article by Entrepreneur.com indicated that high-performers are 116% more likely to stay with their current company than low performers. They are also the best prospects for leadership if given the opportunity to develop their skills. The Center for American Progress found that businesses spend about 20% of an employee's annual salary, benefits, etc. to replace them. This includes the costs of hiring and training a new employee plus productivity losses. The American Management Association reports that the average employee turnover rate is now 14-19%. Turnover can destroy your enterprise and high-performers expect leaders to protect the organization from turnover-related chaos.